This program was created with the intention of helping those that enjoy off-road routes with their all-terrain vehicles, the idea is to create routes to follow them, as well as organizing the areas that have already been visited. But GPS TrackMaker has been expanded with so many functions that it is a set application for this kind of activity. As well as being compatible with more than 50 GPS models, GPS TrackMaker allows you to create and edit routes with waypoints and store them in several formats, it allows you to know the average speed of a route that we have already finished, browse the maps in an intuitive way, includes real-time navigation and many options to input icons and text to mark routes. 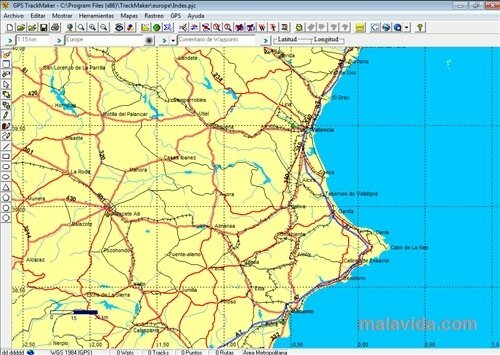 This software, with the help of a good GPS receiver, installed on a laptop, can be a perfect copilot, thanks to is automatic functions and the possibilities it offers. 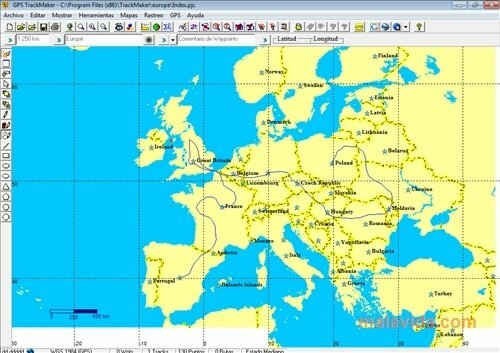 Furthermore, the program offers free maps of various parts of the world, including Europe. And day by day it's possible to find specific routes and maps with detailed information.